More often than not, first-time DUI offenders get off with light sentences. Unless they were involved in a mishap that killed or seriously injured someone, people convicted of a DUI for the first time are usually just meted stiff fines, community service, probation or minimum prison time. Some states also require first-time misdemeanor DUI offenders to install an ignition interlock device or an IID in their car. An ignition interlock is a device designed to stop an intoxicated person from driving. It looks like a cell phone, and it works just like a breathalyzer. The driver must blow into it, and if the alcohol level goes beyond a pre-determined point, the ignition interlock will automatically prevent the car from starting. To many, installing an ignition interlock device in their car would be too much trouble. In reality, however, an IID brings a number of benefits with it. It helps offenders continue to drive – Courts typically suspend the licenses of first-time DUI convicts. An ignition interlock device, however, can help them regain or maintain their legal driving status. With the ability to drive legally, DUI convicts can get on with their daily routines such as driving to work, running errands, and picking up their children from school. It helps reduce recidivism rates – Numerous studies have shown that IIDs are effective at bringing down recidivism rates. In some cases, the number of offenders committing a DUI again has gone down by as much as 90 percent because of the device. 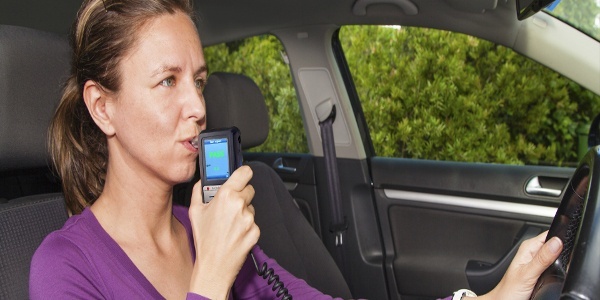 It can predict future DUI offenses – With its ability to store information about breath tests, an ignition interlock device can help tell the future behavior of DUI convicts. Authorities regularly download and review the data from ignition interlocks, and that data allows them to gauge the likelihood of more DUI offenses in the future. In states that practice compliance-based removal, whether or not a person gets to regain full driving privileges will also depend on the analysis of the information from the device. It saves lives – There is no doubt that an ignition interlock device saves lives. In states that require the installation of IIDs for drunk driving offenders, the number of deaths in vehicular accidents involving alcohol has dropped by more than 30 percent. It gives loved ones peace of mind – When an IID is in place, cannot just drink and drive. That gives friends and family the reassurance that their loved one will not be hurting himself or anyone else on the road anytime soon. It’s affordable – Contrary to popular perception, the installation, use and maintenance of an ignition interlock device do not break the bank. While you do have to shell out money for it, you only have to spend as little as $2.15 a day for an IID. That’s cheaper than a cup of coffee or sandwich from a fast food restaurant. And, to give you a little perspective, two dollars a day is so much more preferable than the thousands of dollars in fines and the heavier penalties you will have to face if you’re caught driving under the influence again. If you want to know more about the actual cost of an ignition interlock, check out the infographic below.